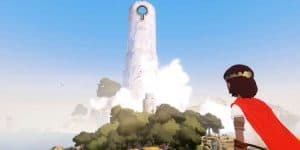 Rime's Nintendo Switch Version to be $10 More, Release Later | Nerd Much? Tequila Works has announced that their upcoming adventure game, Rime, now has its release date, as it has been set for May 26th. Rime will task players with solving numerous puzzles on a strange island filled with mystery after a young boy washes ashore. According to Game Informer, The puzzle-heavy game will release for PS4, Xbox One, and PC on that date for $29.99. Those of you waiting on a release date for the Nintendo Switch version of Rime might have noticed it isn’t mentioned above, and that’s because it won’t release alongside other consoles on the same date — not much of a surprise there. Instead, the Switch version will tag along later this summer at a date to be determined later. What’s more, and somewhat strange, is that the Switch version will be $10 more than other platforms, coming in at $39.99. The price difference is an oddity, and we’re hoping that this doesn’t become the norm (especially since we think the style of adventure game that Rime appears to be lends itself nicely to what the Switch has to offer. Regardless of the pricing of the Switch version, Rime is still one of our most anticipated games of 2017, whether we end up playing it on Nintendo’s newest console or not. It’s good to see that after the numerous Rime delays we’re finally getting a solid release date. Here’s to hoping it doesn’t get pushed back again. For more game news and release date updates, stay tuned to Nerd Much?.